Where to Play Mega Moolah for Real Money? How to Play Mega Moolah Casino Game? Since Mega Moolah launched back in 2006, this revolutionary slots game made more new millionaires than any other online slots available on the internet. 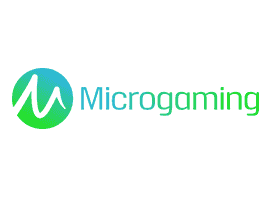 This game was created by Microgaming and it features everything you may want to find in an online slots: big jackpots, frequent payouts, great bonus games, tons of free, spins, and big multipliers! Mega Moolah is a five-reel slot that allows you to play from a minimum of 1 to a maximum of 25 lines, with the bets going from a minimum of $0.01 to a maximum of $6.25 per spin. Besides the four progressive jackpots available in the game (more on this later), the game features a lot of other fun ways to multiply your winning chances and bring home a lot of cold, hard cash. Hit three scatter symbols and you will get 15 free spins with x3 multiplier. Win a spin with a wild on the screen, and you will immediately get the cash prize doubled by the system. With the right promo code, you can always get a lot of free spins to try your luck at Mega Moolah and chase one of the four huge progressive jackpots at no cost. Here on CasinoSmash we offer you all the best deals to get free spins at Mega Moolah. Play the game at one of the rooms suggested on this page, and you will do so with the best bonus available on the internet. Whether it’s a lot of free spins, a no deposit bonus, or a huge match on your first deposit - we always select the best offer we find online to give you the opportunity to bring home a risk-free big win. Mega Moolah’s progressive jackpot is built into four different levels: the Mini Progressive Jackpot, the Minor Progressive Jackpot, the Major Progressive Jackpot, and the Mega Progressive Jackpot. Part of the Microgaming network of progressive jackpots, this game is always regarded as the very best one of its niche as it usually reached numbers that other online slots can only dream of. To put everything into perspective, we built a small table that illustrate all the four different progressive jackpots on tap - and if you are wondering how difficult is to hit the game’s biggest jackpots, we are sure you will love to know that Mega Moolah’s Mega Progressive Jackpot - on average - is hit every three months. This game’s progressive jackpot activated at random, hence your only way to increase your winning chances is to play as many games as your bankroll allows. Although there isn’t any specific strategy for you to snap the biggest prize on tap - it’s still an online slots, after all! -, the best tip you can follow is to always go for the biggest bet you can. Biggest bets give you higher chances to win the jackpot, so the best strategy to win at Mega Moolah is to go for a few big bets rather than a lot of small ones. If the machine decides that you deserve to be lucky enough to take down the one of the jackpots available, you will see a bonus game appear on a new screen. The game comes as a wheel divided into four segments, each one carrying the symbol of an animal footprint. Once this happens, cross your fingers, spin the wheel, and hope that Lady Luck will give you the biggest one on tap. If you need an example to understand how lucrative Mega Moolah’s progressive jackpots can be, you should know that back in October 2015 a British soldier took down a £13.3 million cash prize on just a 25 pence bet! First, choose how the coin value. It means, how much worth is one coin that will be used in the game. It's like having chips in brick-and-mortar Casino - you don't play with actual money but game coins instead. The options can be from $0.01 to $0.05. Choose carefully - your bankroll depends on it. Then, choose how many paylines you want to bet on. It can be only one, it can be all 25. Finally, depending on your bankroll, you need to choose how much (in coins) do you want to bet per line. The options can be from 1 to 5 per payline. Thus, if you play with one payline and your coin value is 0.01, your min bet per spin will be $0.01. if you play with 25 paylines and the same coin value - $0.25. If you get the math, you can easily count that the max total bet will be $6.25. If you want to play that high, no need to elect separate setting for the coin value, paylines, or bets. Just press Max Bet and start spinning. The calculations are not difficult but they are necessary. If you care about your bankroll, that is. Mega Moolah Slot not only can make your dreams of becoming a millionaire true but also take you on a virtual trip to Savannah. The Slot is featuring African animals as symbols. The most paying symbol is the lion. It can award you with up to 15,000 coins if you get five of them on a payline. The lion also acts as a wild, substituting any other symbol if necessary. And wild was never as wild as it's on Mega Moolah. Once lion becomes a wild, you get double winnings for hitting the payline! Money-obsessed Mega Moolah monkey acts as a scatter. Once you land three of them or more, you get 15 free spins. These spins can be retriggered at any given moment. But that's not the best part yet. All wins that you get during the Free Spins feature are tripled! Other symbols include elephants, giraffes, zebras, buffalos, antelopes, and classic playing cards symbols. After honestly reading all of this, you can call yourself an expert in Mega Moolah. Only one thing is missing - the place where to play this cult progressive jackpot Slot for real money. And like many other Slots, the best place to play it is VideoSlots Casino. Not only will you find the best Slots and Mega Moolah there, but all new VideoSlots players also get a brilliant welcome package. That gives you a head start at Mega Moolah and opportunity to try many more video Slots!